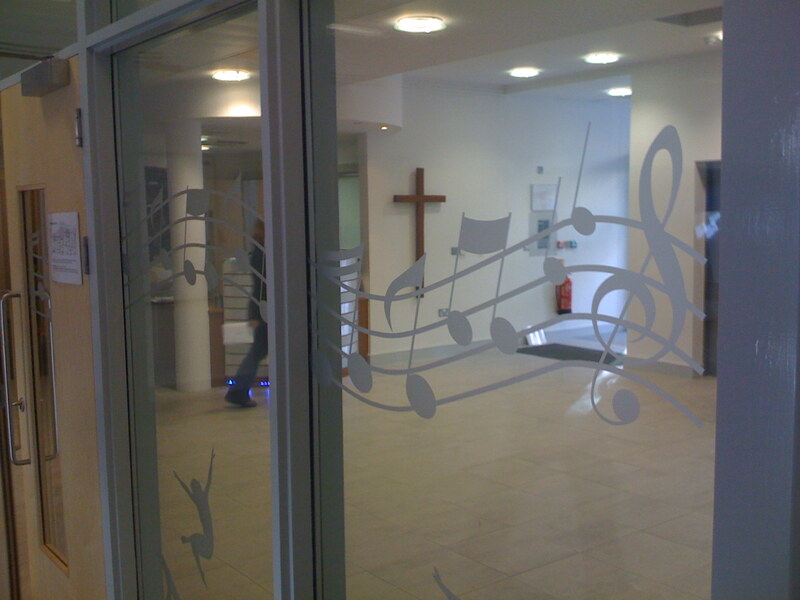 Window frosting film can add decoration and novelty to what would otherwise be plain glass surfaces. Patterns such as this also fulfil basic health and safety requirements by drawing attention to the panel of glass. 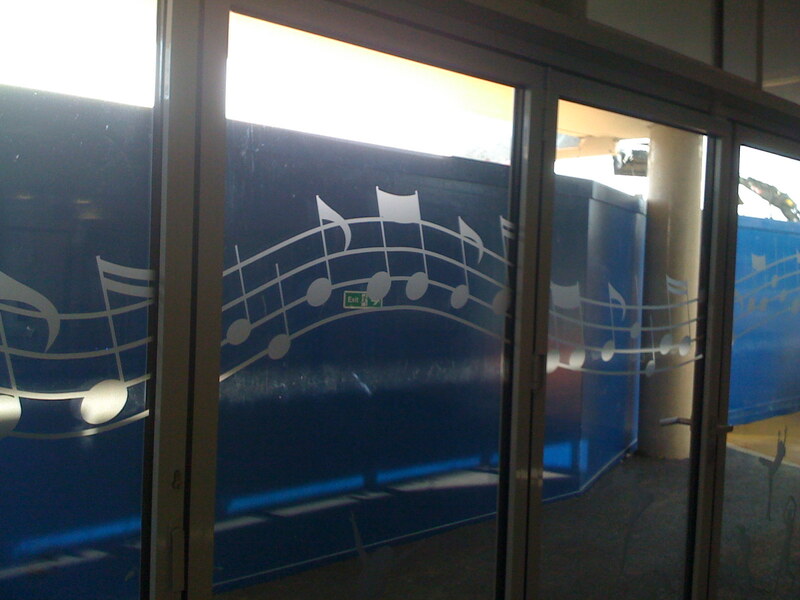 In this case we added a continuous pattern of musical notation in frosted window film.